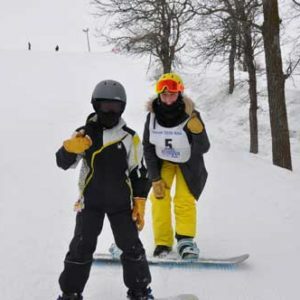 For children aged 10 – 17 years who want to learn how to snowboard or improve their skills. Camps are structured from 10am – 2pm with 2 hours of instruction in the morning, followed by a supervised lunch and then 1 hour of instruction in the afternoon. Campers are welcome to keep their rentals and ski the rest of the day until 5pm. Helmets are mandatory.